Hagbourne St Andrews, Berkshire. By Andrew Mathewson [CC BY-SA 2.0 (http://creativecommons.org/licenses/by-sa/2.0)], via Wikimedia Commons. I have recently become aware, that there were Brooker families, including John Brookers born circa 1722 in the parish of Hagbourne, only 5 km / 3 miles by road, from Long Wittenham, where my ancestor john Brooker, married to a Mary, fathered several children between 1749 and 1760. I'm here collating evidence and data. The problem is that there are TWO candidates for my direct ancestor in the same parish. One baptised 1721 (the son of widower, Elizabeth Brooker (nee Fox), and the late John Brooker), the other 1722 (son of John and Ursula Brooker (nee Deadman). I have to somehow decide which one it is, if either. 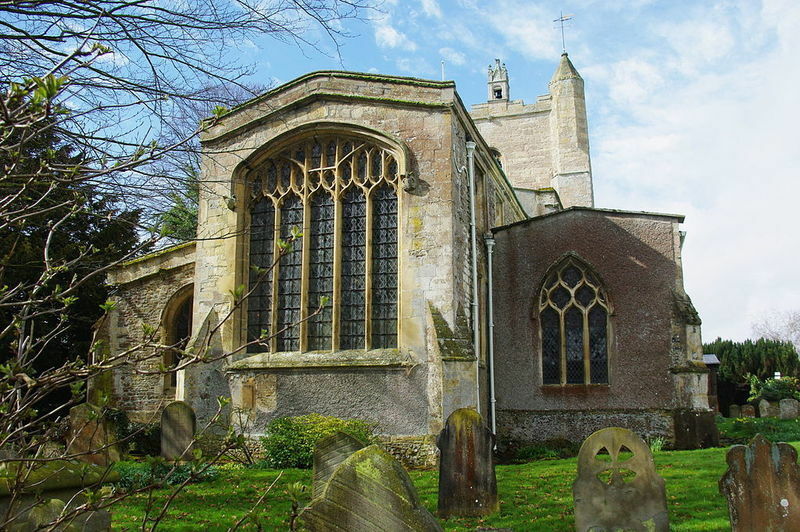 Both families may descend from a Thomas and Anne Brooker, that were in the village, married before 1662. 23 Feb 1728 John Brooker to Sarah Acres, Hagbourne. 02 Oct 1745 John Brooker to Ann Dearlough at Blewbury. grooms parish Hagbourne. Likely founder is Thomas Brooker & Anne married before 1662, OR Thomas Brooker that married Lettice Hide 1679, OR John Brucker and Martha Hews that married Oct 1694. Both John Seniors (circa 1695) could have been grandchildren of Thomas & Anne Brooker. One, son of Thomas & Lettice. The other of John & Martha. John Senior 1 married Elizabeth Fox in Nov 1720. He died Mar 1721! She gave birth to son John Junior 1 in Oct 1721. John Senior 2 married Ursula Deadman in Feb 1716. They had children between 1718 and 1730 - Mary, Elizabeth, William (x2), and son John junior 2 in Dec 1722. He may have died May 1745. Surviving in village was a John Brooker that married Ann Dearlough Oct 1745. Junior 1 or 2? My John Brooker had children at Long Wittenham 1749 - 1760 with his wife mary (married circa 1748?) Included a Martha, Anne, John, Sarah, and Mary. Junior 1 or 2? Gen 11: Thomas & Anne (mar. before 1662) Did the same Thomas later marry Lettice? I need to see marriages of all John seniors (1694, 1716, 1720). Two could have been same guy (2nd as widower). I do think there were two John Seniors, because John & Ursula had kids contemporary to John & Elizabeth. Martha could have died, replaced by Elizabeth? A member of the Facebook Berks and Bucks Ancestors and Genealogy Group, dug up the burial of Junior 1. Widow Elizabeth's young son tragically died, and was buried at Hagbourne 12th January 1723. Now can I tie Junior 2 (son of John Brooker and Ursula (nee Deadman) to my ancestor, John Brooker, married to Mary, at Long Wittenham?